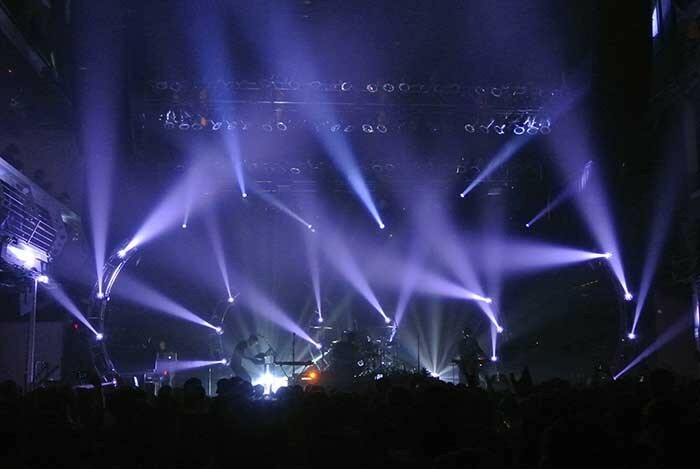 Lighting designer Liam Griffiths recently selected GLP’s impression LED spots for use on tour with New Zealand alternative rock band, The Naked and Famous. 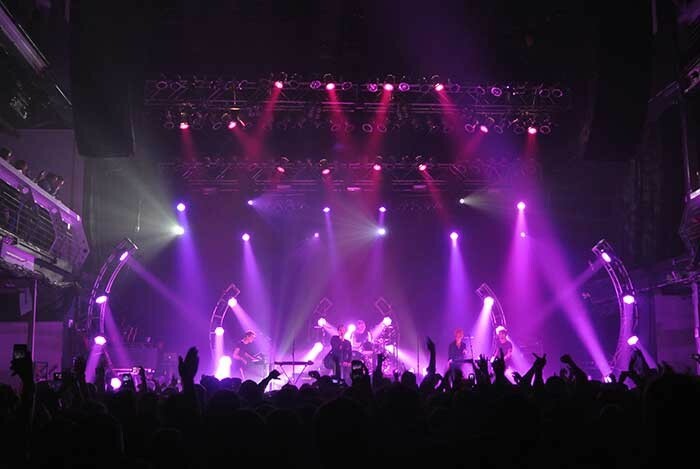 Having provided lighting dynamics for the band since 2011, the LD — who runs West Midlands-based Stage Techniques — sourced 18 X4 spots from PRG in Los Angeles; he then integrated his touring floor package, consisting of six legs of curved truss, with the house rig at San Diego’s House Of Blues where the world tour kicked off. It was to mark the beginning of a love affair with the German manufacturer’s new generation LED moving heads. The set-up has provided the LD with an economical touring package capable of delivering a big show from a small footprint. Easy to truck and then manually transport, and without the need for big power distribution, it is the kind of practical solution that is deal for shows of this scale, where the overall economics are paramount to a tour’s success. But now the X4 has become a crucial part of the show. “From stage wash to narrow beams they create some amazing eye candy. Containing 19 RGBW LEDs, each rated at 15W, the X4s homogenised, high output beam cuts cleanly through stage atmosphere, aided by a 7:1 zoom ratio — offering a variable beam from a 7°-50°. Meanwhile, the lightweight, ergonomic baseless design facilitates easy transportation and set-up. Summing up, Liam Griffiths could scarcely be happier with GLP’s lightweight LED spots, which he has been operating under ChamSys control. “There is no other fixture on the market that can offer the beams, the light output and colour tones within a unit that small, which weighs next to nothing.